In Art, Space, Ecology, internationally renowned curator and critic John K. Grande interviews twenty major contemporary artists whose works engage with the natural environment. Whether their medium is sculpture, nature interventions, performance, body art, or installation, these discussions, complemented by eighty stunning photographs, reveal the artists' diverse backgrounds and methods, expressions and realizations.Ultimately, the natural world serves as a canvas to explore the intersections of art, space, and the environment, thereby raising questions about our relationship with landscape itself. The essence of the art form is a dynamic interactivity, and the dialogues between Grande and the artists mirror the encounter of object and environment, artist and audience, society and nature. This work is rounded out with an engaging introduction by writer and curator Edward Lucie-Smith, who sets the stage for some of the most insightful and compelling discussions on art to be found. 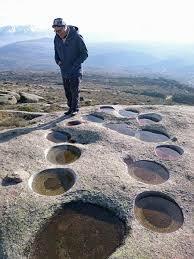 Environmental artists from Europe and North America talk about their work. 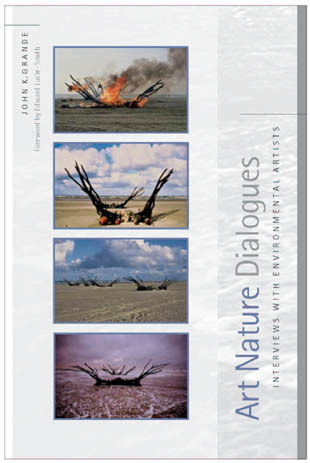 Art Nature Dialogues offers interviews with artists working with, in, and around nature and the environment. The interviews explore art practices, ecological issues, and values as they pertain to the siting of works, the use of materials, and the ethics of artmaking. 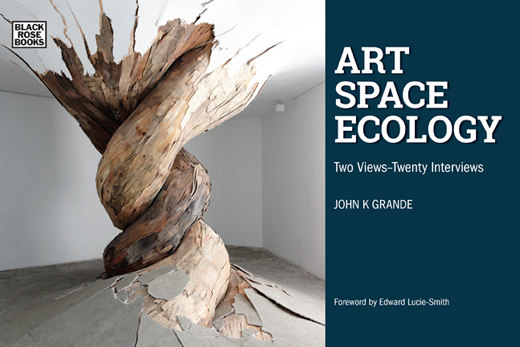 John K. Grande includes interviews with Hamish Fulton, David Nash, Bob Verschueren, herman de vries, Alan Sonfist, Nils-Udo, Michael Singer, Patrick Dougherty, Ursula von Rydingsvard, and others. 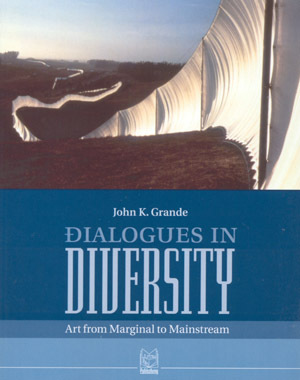 Grande's Art Nature Dialogues provides readers with insights into both the contemporary art world and current concerns about the environment. These interviews, with some of the most important environmental artists on both sides of the Atlantic, engage the borderline between art and what is perhaps the most pressing global concern in the new millenniumthe quality and sustainability of the environment. These dialogues highlight the political, aesthetic, social, and scientific depths of their thought and work.